Could a cross-section of Ocado staff tell the difference between ‘free from’ and not ‘free from’? Would the ‘free from’ product hold its own in the flavour department? 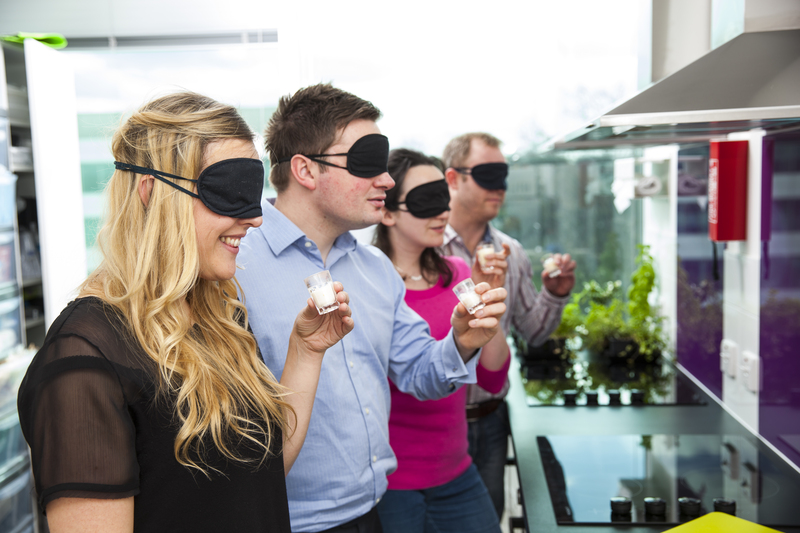 Could we convince ten people to wear blindfolds on camera? After rounding up ten willing volunteers we got to work. The ‘free from’ team chose the Mango CO YO yoghurt as the product to take the challenge. It’s dairy, soya, gluten and lactose free and is suitable for vegans so it was the perfect choice. 9/10 said they would happily add it their basket. So, a victory for ‘free from’ then. Congratulations to all the team. We get loads of great reviews from customers who depend on our range, and it’s fantastic see the quality of the offering first hand. This entry was posted in Talking Ocado and tagged 'Free from', CO YO, Dairy free, Gluten free, Mango, Ocado, Soya free, Taste test, Yoghurt by Ocado. Bookmark the permalink. Unfortunately “Free From” still contains sugar. Most foods contain sugar and as I was diagnosed recently as “borderline diabetic” it is so frustrating as I cannot find sugar free food in great quantities. Hi Lynda, thanks for your comment – it’s a good point and I’m sure you’re not alone in wanting to control your sugar intake. We’ll do some research and see if we can pull together some suggestions for you guys who are looking to reduce sugar in your diet. You should try this with something that would normally contain gluten – like bread. Bet no-one would add GF bread their basket by choice!